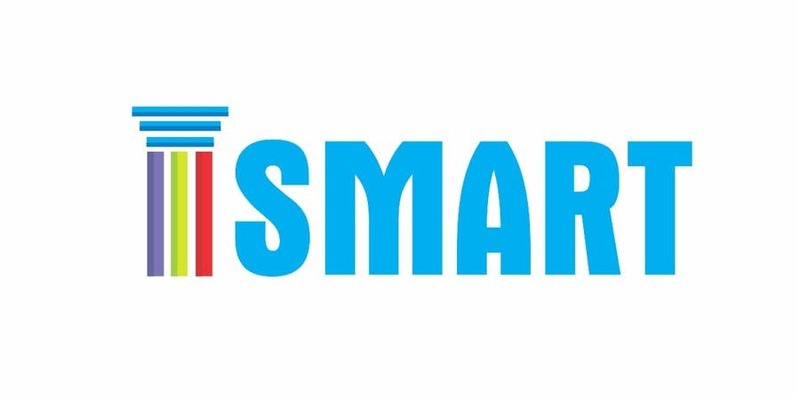 If I were the one who'll design the logo for Smart, this will be the output. Simplicity is convincing. So, my version is just as simple as this. Highlighting of course their three business pillar with a designated color. Red is for the customers which signifies desire. Purple is for the people which symbolizes power, becuse the power is in the people. Lastly, Green if for Technology which symbolizes growth. Without the technology, there will be no growth in the company. And retain the color of the word, SMART, because blue symbolized intelligence. And the lines above the pillars represent the signal brought by Smart.